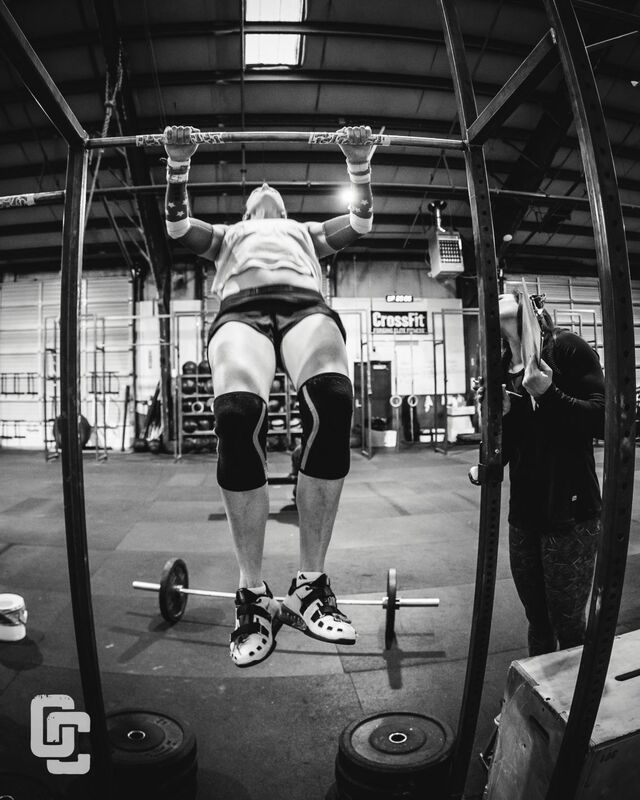 The CrossFit Open is a 5 week competition that is programmed and hosted by CrossFit.com and games.crossfit.com. Oregon CrossFit will be hosting the Open workouts every Friday night starting February 22nd and ending Friday, March 22nd. The workouts will be at 5:00pm - 7:00pm on Friday nights during those 5 weeks. WHO can participate? Anyone can participate, the workouts are going to be given to the CrossFit community on Thursday’s and we will complete them the following day. Anyone that is training at Oregon CrossFit either in LiteFit, GP, or people with a punch card can get involved. All of the workouts are given RX or modified versions that allow anyone to complete the workouts. How will we be competing? Everyone from OC that wants to compete will be divided between one of two teams and we will have a little intra-gym competition. The two teams will be divided between Pat and Sean so we will have brother vs brother competition. Do I need to sign up for the Open? No, this year with the changes related to the CrossFit Games, all you need to do is get on one of the two teams. Can you sign up for the Open? Yes you may if you see value in accessing the leaderboard then by all means get signed up. I don’t have (enter challenging movement here) can I still participate? Short answer is yes! The point of the 5 weeks is to challenge yourself. This challenge may lead to your first pull up or T2B or maybe you will get an opportunity to string your double unders together. If nothing else, it will bring our community together in a friendly intra-gym event. The coaching staff will help go over movement modifications to ensure you get a good workout in as well. Can friends and family show up? Yes 100%! How will it be scored? +1 Point – Participation: every member of a team that completes an Open workout at OC each week earns one point for their active participation, whether Rx, Scaled or Modified around any limitations you have. Maximum one point per athlete per workout.+1 Point – Top 3: Every male AND female member who places among the Top 3 at OC for each workout (Rx & Scaled) gets an extra point for their team.+5 Points (team) – Spirit: The team with the most noise, pride, and PRESENCE each week will receive 5 bonus points. Prizes? PRIZES? We’ll have some random draws each week for prizes, including gear, supplements, and training packages. The top team will also earn a GRAND prize. Details released soon!Our focus is on FUN. We want participation because it will make you fitter, and it will get you high-fives and you’ll be happy and love life more and glow and stuff. Let’s start this party! Do I need to do more work? Our programming has made a slight shift for the next weeks to get you READY for the demands of the five-week competition! This includes some longer duration workouts, more “Gymnastic Prep” work, a little bit more of barbell in our WOD’s and a lot more of the dumbbell work the CrossFit Open has been known for. We’ll have specialty course available for those who want to improve one or two specific skills, too, and we’ll announce those by next week. In the meantime, if you’re dying to get your first toes-to-bars, or link your pull-ups, tell your coach! We’ll get you some 1:1 time and homework! How do I sign up? The whiteboard at OC - Digital version coming soon!